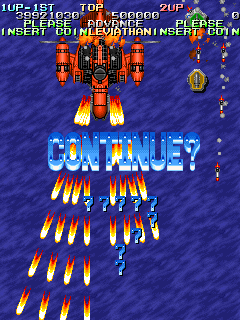 Thanks, guys, I think I am the first counterstop-wise unless the french players at shmup.com have some surprises for us, I actually kinda want to play the limited version and trigger the counterstop for real, just for show and that Gus feel. Next I'll try for 67m to finally go over half the WR, that was a goal for this year and there should still be enough time. Edit 6: Disregard these scores, see my higher scores later in the thread. You know a game hasn't gotten enough attention when all it takes to get into the top 10 is properly scoring on the first stage. 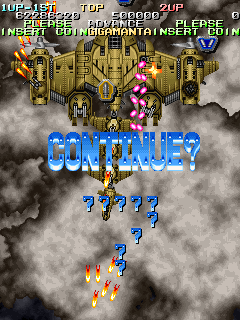 Damn, almost got a Normal Course clear but had a ton of silly unintentional deaths. At least I have cleared normal before, but that was with a score of 5-6 million. Edit 2: Updated my normal course score with a slightly higher score. Still didn't manage to clear though, let's see if I can get over 20mil. 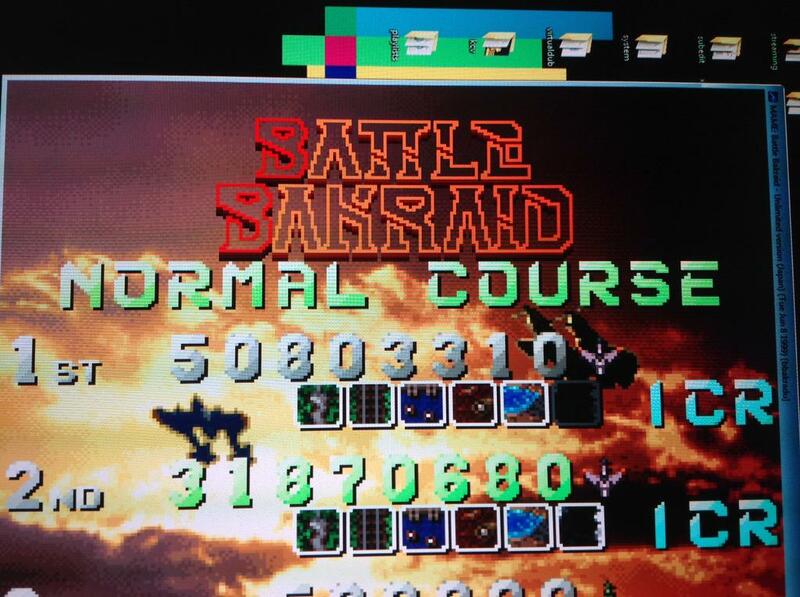 Edit 3: And here's a special course score. Edit 4: Updated advance course score with a higher score. Last edited by Shepardus on Fri May 08, 2015 8:07 am, edited 1 time in total. Been playing this again this week for fun, actually sitting down to practice the chains properly now, and documenting some things I find. First session playing with the new chaining routes. I'll post a proper score once I get around to obliterating this one. Shouldn't take long I think. Damn nice score! It looks to me that with a good chain on Cloud, you could counterstop the non-Unlimited version on Normal. I haven't gotten to play much recently (finals coming up soon...) but when I get the chance I'll probably see if I can rip off some of your chain routes. Edit: I don't feel like double-posting but here are some new scores. Probably going to hold off on posting more until I get really significant score improvements since I'm about to start learning the Naval chain. Last edited by Shepardus on Fri May 08, 2015 8:05 am, edited 1 time in total. First run today, and I finally pulled off the Naval chain, until I realized what I had just done and died to the boss in my surprise. Last edited by Shepardus on Sun May 10, 2015 3:43 am, edited 2 times in total. 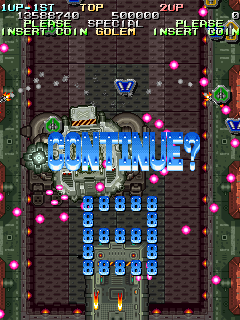 Couldn't commit suicide in time to carry the Naval chain to the boss, but getting an all clear made up for that. I haven't put time into learning the chains for Desert or Seaside but I managed to improvise something decent for Seaside. If I had just gotten the full Naval chain I might have been able to take the top spot since the two flaps on Leviathan are worth 6.4 million with a 64x multiplier. Nothing much to say about this one, except that it's the farthest I've gotten so far. 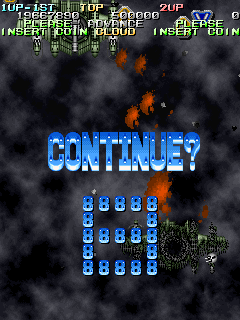 Stage 7 for some reason is a lot easier than stage 6 (Cloud), probably because the bosses in this game are a lot harder than the rest of the stages, at least for survival. Last edited by Shepardus on Sat May 16, 2015 10:55 pm, edited 3 times in total. Great progress man, it's great to see some activity around this game. Awesome, can't wait to watch that run! Edit: 100k medals Very nice Vampire! Finally managed to pull off the Naval chain, and got the Desert chain too (up until bridging it into the boss, which I haven't learned yet). Starting panicking on Bahamut and that carried over into Seaside, but I still survived long enough to top Icarus's score by just a bit. Last edited by Shepardus on Fri Jun 05, 2015 5:35 am, edited 2 times in total. Are scores from the non-Unlimited version allowed? Last edited by Shepardus on Wed Aug 12, 2015 5:30 am, edited 1 time in total. Finally managed to chain Seaside all the way through. I'm pretty happy with this run, aside from missing the chain extension into Gigamanta. Last edited by Shepardus on Tue Jul 07, 2015 7:40 am, edited 1 time in total. Couldn't even let me bask in my glory for a single day, eh? Ah well, it's more fun when you've got a serious competitor. Edit: Just watched the run, very nice! The last stage is worth more than I had assumed, looks like I'll have to make more of an effort to actually reach that stage. Nice work both of you, it's so hard to get consistent scores on this game, if I can put good stages all together then I'd get something like 60m too. I'm not consistent at all at this game, I just spam runs enough until everything manages to go right for once. 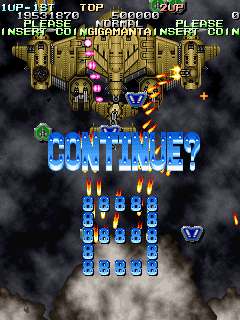 Getting the two 50k flaps on Leviathan is probably the single part I have the most difficulty with, but the extra bomb time with B-type might make that easier. Decided to try using Flame Viper S instead of C for a while and see if the extra speed helps. I guess this is a yes? The first six stages were the best I ever had, resulting in a score of 73 million. 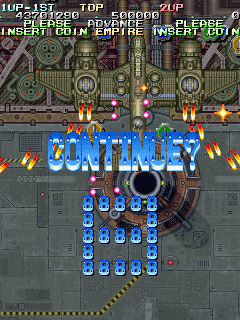 The next two stages were pretty disastrous though, starting with me both dying and dropping an extend at the start of stage 7 due to either a keyboard glitch or just me holding right without realizing. 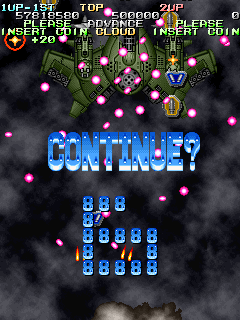 And as you can see from the screenshot, I game-overed in stage 8 with an extend on the screen, in a futile attempt to chain the stage. Oh well, the first six stages alone make me quite happy with this run, and if I can do that more often I can put more effort into practicing the last two stages. Admittedly I haven't touched an STG for the past few months because MMOs etc, but I'm happy to see you guys are still killing it. Got for 80mil+! Also, is Limbrooke still around? This thread hasn't been updated since Sept '14. I'm still here however my current computer is down so I've got bigger fish to fry presently. I can update this as mentioned within short notice if I'm sent a PM. Nobody has done that yet so it's not dire, pardon the very nice new scores posted recently. Anyway, I can update this weekend. Got a Normal Course score I'm quite satisfied with. 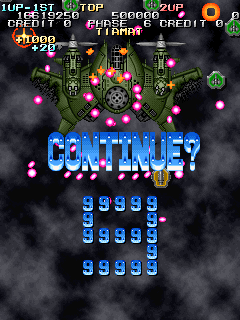 I probably could have maintained my multiplier on Gigamanta a bit longer if I had committed suicide one more time but I wanted to clear so I kept the life for safety. I like this run enough that I'm adding annotations to the video to explain what's going on, it's up to Cloud or so for now. 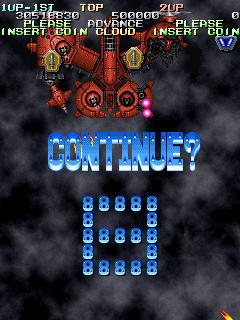 The main new stuff I've managed to stuff into this run are a new Axebeak route where you don't have to wait at the start (B-type for stronger bombs required) and a full Railroad chain that's profitable, I ignore medals for pretty much the entire run to focus on new stuff and high scoring chains. Amazing stuff! Too bad the end of Naval didn't go so well... Do you have a route for it that you just didn't get to do, or have you not routed that with Type B yet? I had trouble with that when trying to create routes for Type B myself, and just never progressed past there. I believe that it's possible to raise rank high enough that you can just throw the half-bomb on top of Leviathan like you would with the other types without destroying it, but obviously raising rank brings its own issues. I love that new Axebeak route, I'm tempted to switch over to Type B myself just to avoid the tedium of waiting for the 50k panels to open (though I still want to perfect my/yk's existing Type S routes first...). Looks like it's more palatable for new players as well, which is great. I've gotten 22.0-22.1 million by the end of Railroad with Type B (21.2 with other types) without chaining through the stage, so chaining Railroad does seem profitable overall but barely so in my opinion (only by about half a million). I suspect you may be able to optimize Cyclops more but I'm not entirely sure on that considering you're starting Cyclops with 0 bombs instead of the ~2.5 I usually start with. Toot toot! Grats on the stellar scores, guys! Post your findings in the ST, lets build it out. B route for naval, well pretty much the usual "route", just keep your bombs away from scoring targets at all times and just aura them, hopefully the longer bomb duration will help you pull through without the bomb damage. I really recommend switching to B and fast Axebeak, your runs will go quicker and you'll play a lot more before you get bored, it's definitely how the game should be presented to new players. Railroad indeed can and should be optimized further, I think it's possible to end up with 4 lives and 1.5 bombs with better suicides, and also score slightly better during the stage. Insane score, and great new Axebeak route. Much like the SW2/3 topic, some fantastic scores here. Well done on progress. It's updated for now. 100mil feels so close, this run actually has no scoring at all in the ending part of Naval, to give you some perspective. 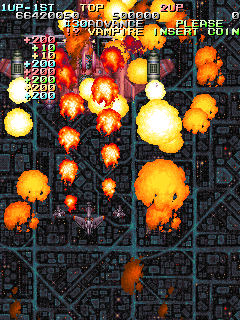 I compensate for that with some new tricks like getting 50000x64 from Gigamanta's second form and drive up the rank pretty heavily to get more 2000x64 popcorn enemies. there's also the infamous Vampire 200x64 missile milking which isn't too bad at high rank with the extra missiles that spawn.